In 2011, Shane O’Farrell was struck by a car driven by Zigimantas Gradzuiska. Shane O'Farrell was killed in 2011. THE GOVERNMENT HAS agreed to set up a scoping inquiry into the hit-and-run death of Shane O’Farrell. Cabinet agreed today that judge Gerard Haughton will advise Justice Minister Charlie Flanagan about whether there are unanswered questions that might be looked at by a possible Commission of Investigation, statutory inquiry or tribunal. He is due to complete an interim report in eight weeks time. In 2011, 23-year-old O’Farrell was struck by a car driven by Zigimantas Gradzuiska. The Lithuanian national had previous convictions for offences including aggravated burglary, road traffic offences and the handling of stolen property. Two weeks before the collision, he was arrested in Newry for three counts of theft. The day he struck O’Farrell, Gradzuiska was on bail from courts in both Monaghan and Cavan and on a peace bond from Louth Circuit Court. For eight years, the O’Farrell family has been asking how Gradzuiska, a repeat offender who was on bail from multiple courts, was at liberty on the day Shane was killed. Last year, the GSOC investigation into the case found that no garda conduct was found to be illegal in relation to the investigation surrounding O’Farrell’s death. GSOC are still to rule on breach of discipline with a report on that matter being sent to the Garda Commissioner last week. The O’Farrell met with the minister today where they were informed about the inquiry. The Minister met with the O’Farrell family today at short notice. The Minister wanted to inform the family that he has ordered a scoping exercise to be carried out, which will be chaired by Mr Justice Haughton of the District Court. In the families view a scoping exercise falls far short of recognising the Dail’s 2 to 1 vote in favour of a public inquiry which was passed in June 2018. There was no consultation with the family, nor has the family had the opportunity to consider or comment on the terms of reference. They are considering their next steps in the circumstances. It is understood the judge will also recommend to government if any changes to bail and bench warrant laws are required following his inquiry. Fianna Fáil’s Jim O’Callaghan, who introduced a motion in the Dáil last year, calling for a Commission of Investigation into the circumstances surrounding O’Farrell’s death said tonight that he welcomes the announcement, acknowledging that it represents “slight progress in determining the events surrounding Shane’s tragic death”. “As I have previously stated, the GSOC report failed to uncover thorough or factual answers to very vital questions relating to Shane’s death. The O’Farrell family has been unrelenting in their pursuit of justice for their only son and brother. They and the public deserve the truth. “I very much hope that this scoping inquiry indicates that the Government respects the vote of the Oireachtas which supported the establishment of a full inquiry,” he said. 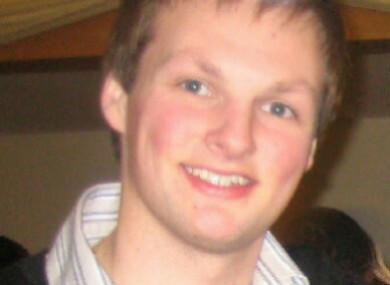 Email “Government approves scoping inquiry into the hit-and-run death of Shane O’Farrell”. Feedback on “Government approves scoping inquiry into the hit-and-run death of Shane O’Farrell”.